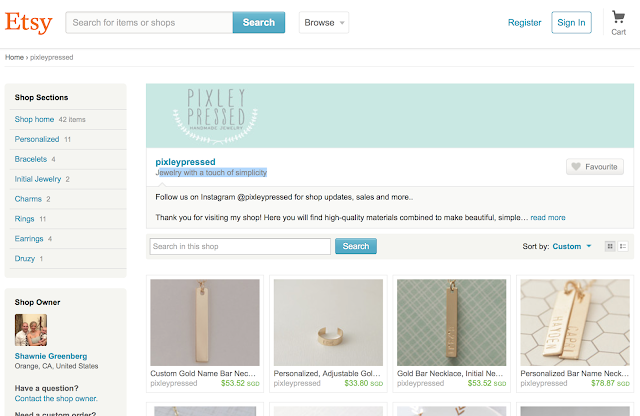 PIXLEY PRESSED is an online Etsy jewellery boutique selling simple and dainty pieces that are handmade and unique. Here you will find high-quality materials combined to make beautiful, simple pieces of jewellery. Wear one of these necklaces alone or layer it with some of Pixley Pressed's other pieces. They are also on instagram (@pixleypressed) at which they showcases more photos from themselves or from customers alike. Shawnie, the lovely lady behind PIXLEY PRESSED makes these beautiful pieces at her own home with quality 14k Gold and Sterling Silver materials! So I can tell you, once you purchase anything from them, you are bound to cherish and take good care of these beautifully crafted pieces for many many years to come! 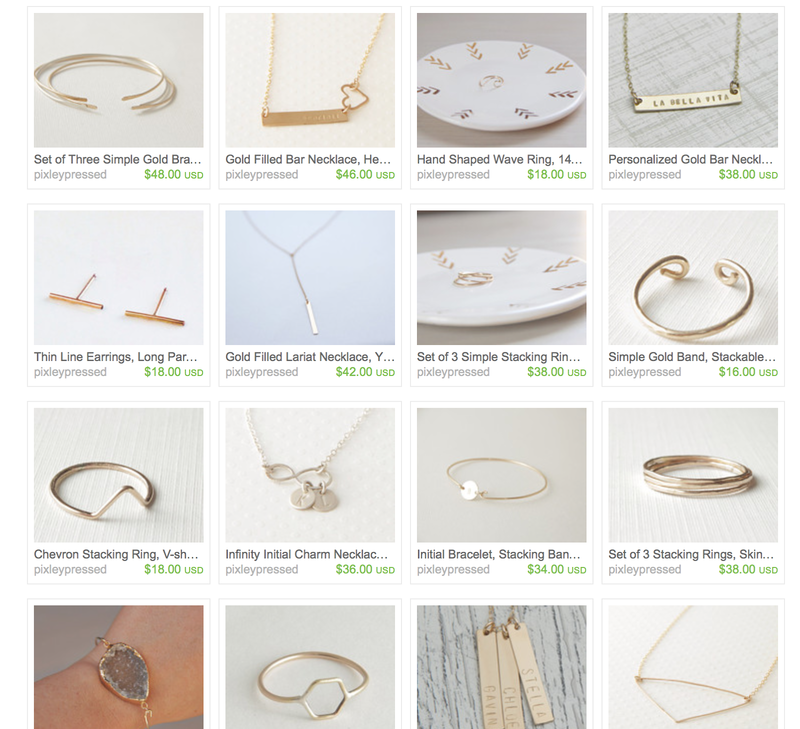 I really love how dainty, sweet and minimal their jewellery are! If you don't already know, Etsy is a wonderful platform you can find beautiful items and products and moreover, it is super safe to purchase things from this site and gives everyone a smooth and breezy shopping experience. These are some of the gorgeous pieces that you can find at PIXLEY PRESSED!! And and please note there may be a production time of 1-2 weeks so if you are ordering any items as gifts/etc, please do add that time to shipping to estimate as to when you should receive your order. Shop owner Shawnie do work very hard to get your items out as quickly as possible however and if you might need a rush order, feel free to contact her so she can ensure you receive your items in a timely manner. Also, remember to follow them on Instagram for sneak previews + juicy updates!